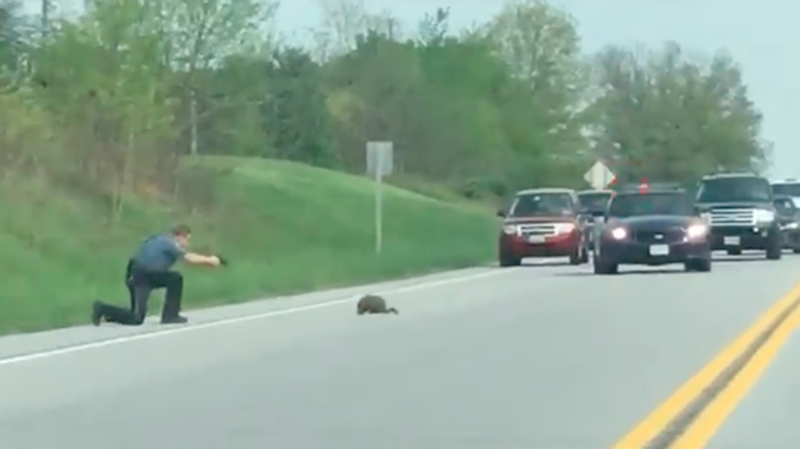 A cruel and villainous groundhog was blocking traffic outside of Baltimore today, but thankfully, a cop came to dispatch true justice and shot it to death with a gun. Video of the shooting is genuinely troubling, posted here on Facebook. Damn that groundhog for its horrific crimes, for which it most certainly deserved to die.